We are pleased to announce details of yet another newly awarded contract! Commencing in February, this new Derby based project involves the full internal fit-out of office space within a newly constructed warehouse and distribution centre. 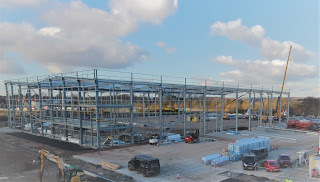 Our scope of works at this sizable hub will include partitions, joinery, screeding and the installation of kitchen facilities and Armstrong suspended ceilings. 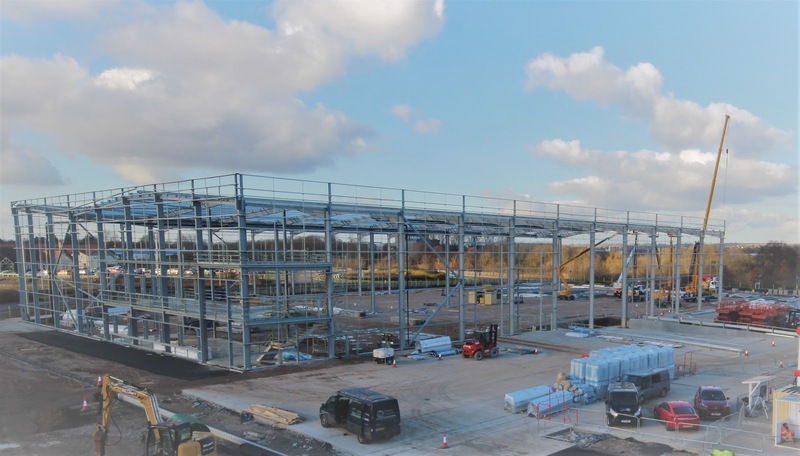 There is currently no end-user in place at this 70,000 st ft hub, but the fantastic location of Derby Commercial Park will no doubt draw in plenty of potential suitors. Located minutes away from major motorways, this 180 acre site is fast becoming one of the Midlands premier industrial estates. Back in 2014, Bespoke completed a gigantic 633,000 sq ft distribution centre for drinks flow logistics company, Kuehne and Nagel. Click here to read more about this previous project.